Nike Breathe fabric helps you stay dry and cool. Elastic waistband with drawcord secures the fit. Authentic woven crest and colored side tape show your Chelsea pride. Single-needle, clean-finish hems give a polished look. 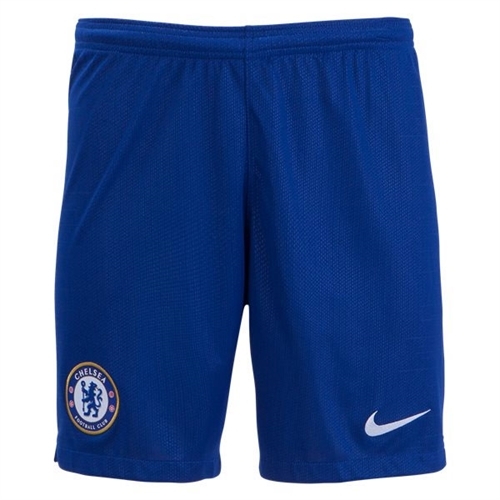 Our Nike Chelsea Home Shorts 2018-2019 are a version of the ones the Blues wear when they move the ball with speed and precision on the home pitch. 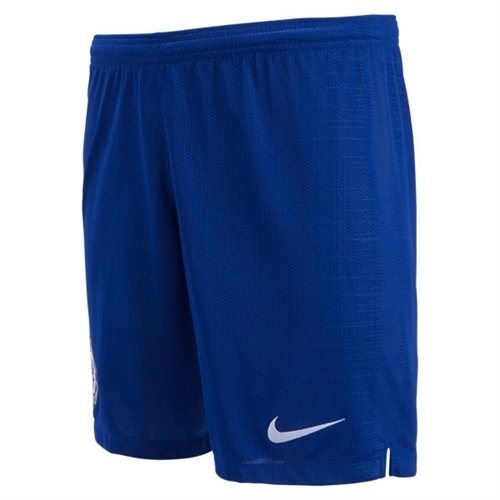 Made with Nike Breathe fabric helps you stay dry and cool.